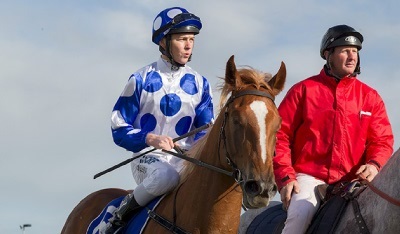 The Ciaron Maher's three-year-old filly Miss Wonderland won her second race from three starts after claiming the $80,000 ISCA Handicap (1100m), with Linda Meech replacing the injured Luke Nolen in the saddle. "She did a great job to lead throughout with 60kg, she's really tough," Meech said. That headwind is very strong and I would have loved to come back a half-length or a length but she didn't want to do that so I just kept her happy," Meech added. Seguna breaks his maiden status with impressive win at Benalla. Ridden perfectly by M Pegus, the David Hayes trained gelding settled just behind the leader and really found the line well to win 1206m Maiden by 1 length. The 3yo is currently in the shadow of his younger half sister Serena Bay but today the gelding showed he has plenty of ability to. Brad Spicer thoroughbreds have had huge success with Edinburgh Park yearlings and this 3yo looks like he will be a lot of fun for connections. Race experience often makes all the difference in two-year-old races and Serena Bay reinforced that notion with a narrow victory at Rosehill. The Gai Waterhouse and Adrian Bott-trained galloper was the only filly contesting the $150,000 Goldners Horse Transport Golden Gift (1100m) but was also the only winner in the nine-horse field after disposing of a Kembla Grange juvenile field on November 12. Taking on as many as seven debutants, Serena Bay led from start to finish under Kerrin McEvoy and held off a charging Reflectivity ($16), prepared by Hawkes Racing, to score by a nose. Ipso Facto ($7.50) for Mark Newnham was having his second start and finished third, beaten 1-1/2 lengths. Bott said Serena Bay is a robust filly that will likely be set for the $500,000 Inglis Nursery (1000m) at Randwick on December 17. "I think that race experience was the key today – she put herself right in the race, cornered well, and quickened nicely," Bott said. 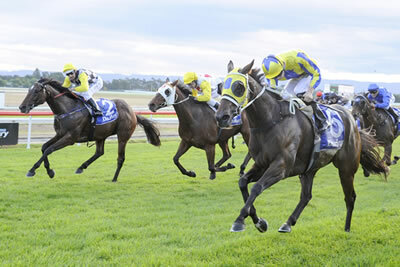 "She took a great deal of confidence from her first-up win at Kembla. "She's a lovely big tough filly and I'm sure she'll come through today's race well. We'd love to take her to the Inglis Nursery race as she's an Inglis graduate and it's a lot of prizemoney so it looks an ideal target." Last year's Inglis Nursery was won on debut by Mick Price's two-time Group I-winning colt Extreme Choice while 2014 Golden Slipper winner Mossfun also won the race at her first start. Smart 2yo filly Serena Bay (Sebring - Caiguna) was an impressive winner at Kemba Grange today. The filly jumped well and went straight to the front for jockey Paul King. She was never in trouble and won as she liked in the 900m 2yo scamper. She will now head to the city to test her wears. The filly is trained by the Gai Waterhouse/Adrian Bott racing team and was purchased from the Edinburgh Park draft at the 2016 Inglis Easter Yearling Sale in 2016 for $200000-00. 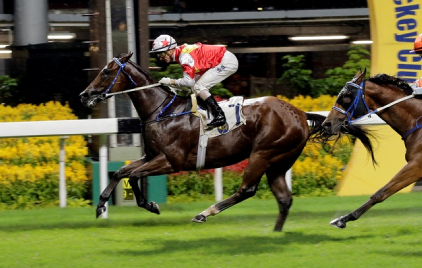 Marvelous was the word today at Sha Tin when Victory Marvel saluted for jockey Chad Schofield. The gelding is now getting an enviable record for his connections and trainer C Fownes. Snitzel filly Miss Wonderland ($3.40) showed herself to be pretty speedy at Racing.com Park on Monday, bolting to a six-length win. Jockey Patrick Moloney took her to the front in the Peter Martin Memorial 2YO Fillies Maiden Plate (1200m) and dashed well clear of Mike Moroney pair Spanks and Sognani who filled the placings. Interestingly, there was no love for Miss Wonderland in the betting ring, drifting out from odds-on favouritism to start second-elect behind Dazzy's Day ($2.70) - but there were almost six-and-a-half lengths between them at the winning post. "Ciaron was pretty confident coming here today," Moloney said. "He really liked this filly. She's certainly got plenty of ability. "She's very raw still, wants to have a look around. "I think you'll find once she's chasing a pair or two, she'll keep on improving rapidly." Wylie Dalziel Roy Higgins Racing syndicate representative Albert Cavallo said it was Wylie Dalziel and Peter Moody who bought the filly for $200,000, before - among many others - Maher took over the reins from Moody when the latter shut his stables earlier this year. "She'd been trialling really well, but until you come to raceday and see the action [you never know]... today she did what we thought she would do," Cavallo said. "Peter chanced his arm on this with the mare - Alice's Smart from America." 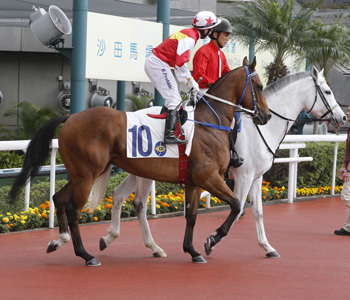 Miss Wonderland's broodmare Alice's Smart was a winner of two races in the USA, over 1200m and 1400m. Cavallo said there are first-time owners in Miss Wonderland, along with some of the connections of five-time Group 1 winner Dissident and Crown Oaks winner Jameka. Sepoy produced an impressive winner at Geelong on Friday when Cardenas beat older horses in a six length victory. Having her second career start after a debut second on the synthetic at Pakenham, the filly was fast from the gates and travelled sweetly in the lead before showing impressive acceleration to put a space on her rivals. Cardenas is the first runner for Becerra (Al Maher), a Listed winner of the Morphettville Guineas and second placed in the Gr.1 Queensland Oaks, from a family that includes Gr.1 winners Episode and First Seal. She was offered by Edinburgh Park at last year's Magic Millions Gold Coast Yearling Sale, knocked down to Wylie Dalziel / Moody Racing for $140,000. Now trained by David Hayes and Tom Dabernig, she was ridden by Michael Walker who suggested a bright future is ahead following today's win. Cardenas becomes the fourth winner for Sepoy who sits atop the First Season Sires list by earnings and is now in equal second by winners. Sepoy has a had a fee reduction to $33,000 for the coming season at Darley. The Group III Hawkesbury Gold Cup on Saturday was won by classy performer Amovatio, an $85,000 Magic Millions purchase from the draft of Edinburgh Park, who will offer a top quality selection of mares at the Inglis Broodmare Sale starting on Monday. Ian Smith’s Edinburgh Park have had much success with their breeding program over the years that started with world champion sprinter Silent Witness and has continued through a host of stakes-winners right up to Amovatio. The Chris Waller trained five year-old son of Al Maher has now won nearly $800,000 in prizemoney providing a sensational return on investment for Spicer Thoroughbreds. Edinburgh Park is not just about selling yearlings, as the farm has also achieved notable success through trading young broodmares. "We select quality young mares on pedigree, race performance and type and then mate them to commercial stallions we believe suit them both physically and on pedigree,” explained Ian Smith. Some of the successful broodmare purchases from Edinburgh Park include Allegra, who has since produced yearlings that have sold for $650,000, $1million and $300,000, also Sister Madly, who produced a $1.2 million colt at Magic Millions last year. "Edinburgh Park is becoming a great source of both breeding and racing stock as shown with Amovatio today, but also by the fillies/mares we have bred and or sold,” said Smith. Edinburgh Park will offer 11 mares at the Inglis Australian Broodmare Sale in foal to some of the most popular young stallions including Rubick, Shooting to Win, Brazen Beau, So You Think and Written Tycoon – click here for pedigrees. Lot 506 Shigeru Sendan – Young stakes-winner by Denman from the family of international Group I winning sprinter Amber Sky. In foal to Written Tycoon in her first season at stud. 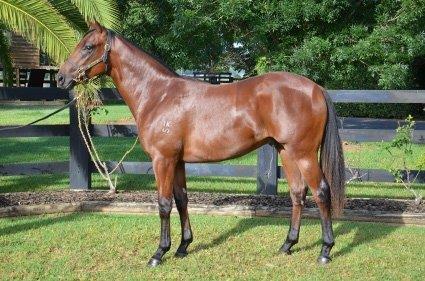 Lot 678 Calvados – Winning half-sister by Medaglia D’Oro (USA) to stakes-winner Barbed from stakes-winner Key Bar Nights. In foal to Brazen Beau in her first season at stud. 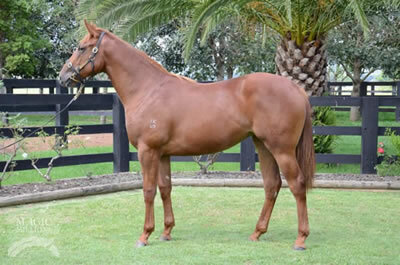 Lot 396 Miss Fidle r – Half-sister by Royal Academy (USA) to Group I winner Hurtle Myrtle. In foal to Shooting to Win. 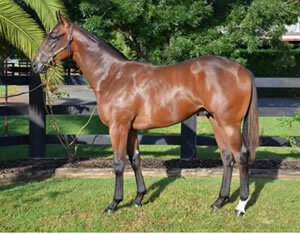 Lot 395 Miss Adelaide – Winning half-sister by Fusaichi Pegasus (USA) to Group I placed stakes-winner El Roca. In foal to Rubick. 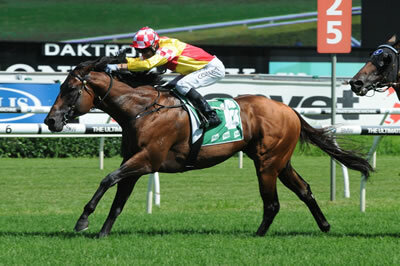 Lot 371 Magic in Motion – Six time winner of over $200,000 and fourth in the Group III BRC Roses. By a proven outcross sire in Magic Albert and in foal to Rubick in her first season at stud. Lot 455 Quest for Peace – Stakes-placed daughter of Hard Spun (USA) offered in foal to Rubick, second season. See the mares at Stable 1, Row M1-9. Promising Sebring colts Revolving Door and Seaburge kicked right away from their rivals at Sandown on Wednesday with less than a length between them at the finish, but more than four lengths back to the next horse. Revolving Door as a yearling Revolving Door as a yearling An easy winner on debut at Pakenham, the David Hayes and Tom Dabernig trained Seaburge was favourite, but he couldn’t quite catch Revolving Door, who was also having his second start following an excellent debut fourth in the Group III MRC Blue Diamond Prelude. 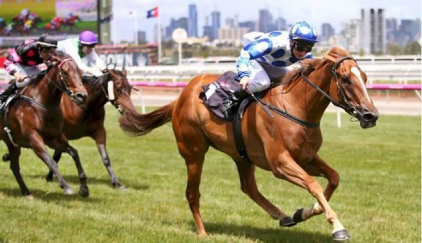 Both lightly raced colts were emergencies for the Group I MRC Blue Diamond Stakes this Saturday, but have gained some consolation here and shown the talent to measure up to stakes company in the near future. Prepared by Clinton McDonald, Revolving Door was a $200,000 Inglis Easter purchase for his trainer from the Edinburgh Park draft and is a half-brother to this season’s Group III placed three year-old Golden Spin. Bred by Ian Smith, Golden Spin and Revolving Door are the first two foals for stakes-placed Anabaa (USA) mare Turnstiles, a daughter of Group III winner Zabeels Angel. Edinburgh Park will offer the current yearling from Turnstiles, a filly by Pierro, at the 2016 Inglis Australian Easter Yearling Sale as Lot 123 and she has a Sebring filly to follow. Sebring has a raft of talented types stepping up at present including Egypt, Tulsa and Mount Panorama, the Golden Slipper winning sire well represented at Inglis Premier with 19 entries. 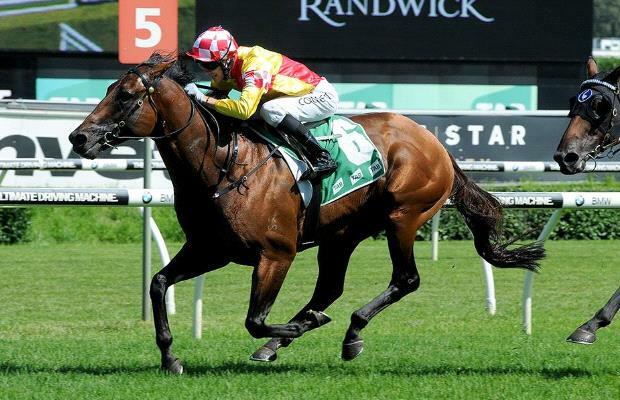 David Vandyke gave simple instructions to Jason Collett and the in-form jockey carried them out to the letter in taking out the Gardenia Handicap (1600m) at Randwick on Saturday aboard Bull Point. Vandyke told Collett if he wasn't in front at the 1000m then turn around and come back because all of the hard work they'd put into the five-year-old entire would be ruined. A $960,000 yearling purchase, Bull Point began his career with Gai Waterhouse, winning two of his first three starts and finishing third in the 2013 Group I Golden Rose behind Zoustar and Dissident. But a lapse in form saw Bull Point shipped to Chris Waller then onto Tony McEvoy, and despite some useful efforts in the top grade, hadn't managed to record a win from his past 16 starts. Vandyke looked at what hadn't worked with the son of Fastnet Rock and came up with an idea to try something new – sending him to the front. Two aggressively ridden trial wins were followed by a failed trip to the Gold Coast on Magic Millions day when Bull Point drew gate 14 in a field of 16. But a subsequent slick Warwick Farm trial win and a better draw at Randwick saw Vandyke's plan finally come to fruition. "I told Jason he must lead," Vandyke said. "It worked in the trials and you've got to get him to the front. "It was lead at all costs." Vandyke admits another failure today may have been the final straw. "Did he have a future past today?" Vandyke said. "It was a toss of the coin." But after the strength of Saturday's win, Vandyke now plans to raise the bar. "He works like a Group I horse," Vandyke said. "He's got untold ability and his recovery is ridiculous. "We'll nominate for the Doncaster. "The sky could be the limit. He certainly has the ability." Bull Point led throughout to beat the John O'Shea-trained Medcaut ($9) by three-quarters-of-a-length with the Chris Waller-trained Libran ($10) a further 1-1/4 lengths away in third. Undefeated Kiwi galloper Hasselhoof was sent out a well-supported $2.05 favourite but had his perfect record broken, finishing a hard-trying fourth, beaten 2-1/2 lengths. 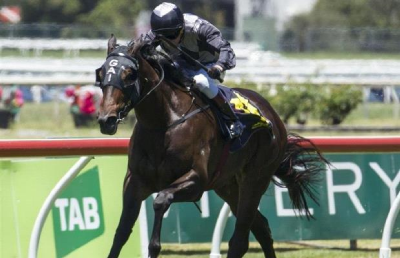 Trainer Donna Logan wasn't overly disappointed and plans to keep Hasselhoof in Australia for the Listed Parramatta Cup (1900m) at Rosehill on February 20. Enigmatic Fastnet Rock entire Bull Point had not won a race since taking out the Group III MRC Manfred Stakes at Caulfield two years ago on this day, but the five year-old produced the run of his life to lead throughout and win at Randwick on Saturday. Transferred to David Vandyke after previously being trained by Gai Waterhouse, Chris Waller and Tony McEvoy, Bull Point had his mind on the job and pulled out plenty in the run to the line for Jason Collett to take the 1600 metre open handicap by the best part of a length. The Magic Millions sale-topper in 2012 when fetching $960,000 to the bid of Demi O'Byrne / James Bester Bloodstock, Bull Point started his racing career for a Coolmore syndicate, but was later on-sold privately when his form tapered off with his breeder Ian Smith of Edinburgh Park Stud now racing the stallion in partnership. "The key to him is going forward," said David Vandyke, who has performed a minor miracle in bringing his talented charge back to the winner's list. "We've had to do a lot of work on his confidence. He has Group I ability, which he shows in trackwork, but it's been a real team effort to get him back. "We've gone from talking retirement, to talking Doncasters!" Group I placed twice earlier in his career in the ATC Golden Rose and MRC Sir Rupert Clarke Stakes, Bull Point has the overall record of four wins and seven placings from 24 starts with prizemoney of $547,000. Bred and sold by Ian Smith's Edinburgh Park, Bull Point has a stallion's pedigree being from Rose of Cimmaron, a full sister to Group III winner and celebrated producer Mica's Pride, the dam of Group I star Criterion, Group II winner Varenna Miss and stakes-winner Silently. Rose of Cimmaron is now owned by Mrs Belinda Bateman and produced a colt by Exceed and Excel last spring and is back in foal to him. Her current yearling, another colt by Fastnet Rock, will be offered at the 2016 Inglis Australian Easter Yearling Sale as Lot 42 by Newgate Farm. 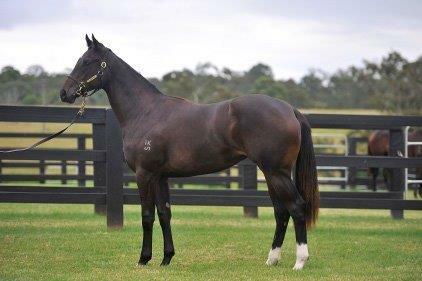 Edinburgh Park have a small select draft for the Inglis Classic Yearling Sale starting tonight. Rising star Golden Spin notched his fourth-straight win as he crushed his rivals at Caulfield on Saturday. 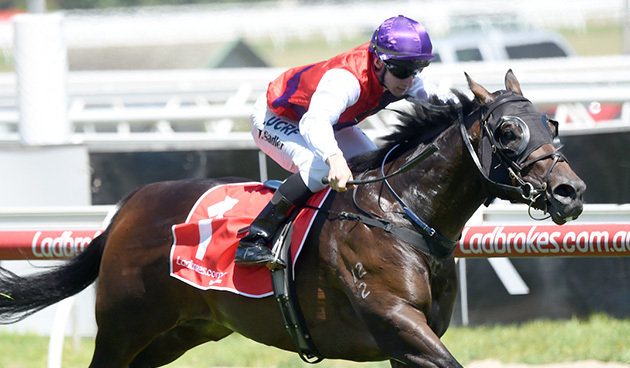 Black-type races are on the agenda next for the Lee and Anthony Freedman-trained three-year-old colt, who showed his class with a dominant all-the-way win in the Jack Dunn Handicap (1200m). Apprentice Tom Sadler took Golden Spin ($3.10) straight to the front and that was where he stayed, cruising away to beat He’s A Moral ($9) and Magna Rossa ($4). “When he jumped so good Tom obviously made a decision to lead and he got it easy enough and he showed a good kick,” stable foreman Steve Adams said. “He’s always shown good ability but he’s obviously improved every run. “Third-up today, he was fully wound up so it looks like he’s got quite a nice future.” The result delighted the big group of owners in the mounting yard and there might be a bit more to celebrate when the bar is raised later this campaign. “I think after today - early Feb we’ll look at those Listed, Group 3 races,” Adams said. “They look likely options for him.” The win came at a cost for Sadler, who copped a 16-meeting suspension for his ride. Sadler got into trouble just after the start when he tried to cross from the outside barrier, but only succeeded in causing interference to Magna Rossa (Katelyn Mallyon), Runson (Daniel Moor), Chase The Horizon (Ben Melham) and He’s A Moral (Harry Coffey). Sadler wasn’t the only hoop to earn the wrath of the stewards with Melham outed for nine meetings after causing interference when riding Yellen in the closing stages of the second race.